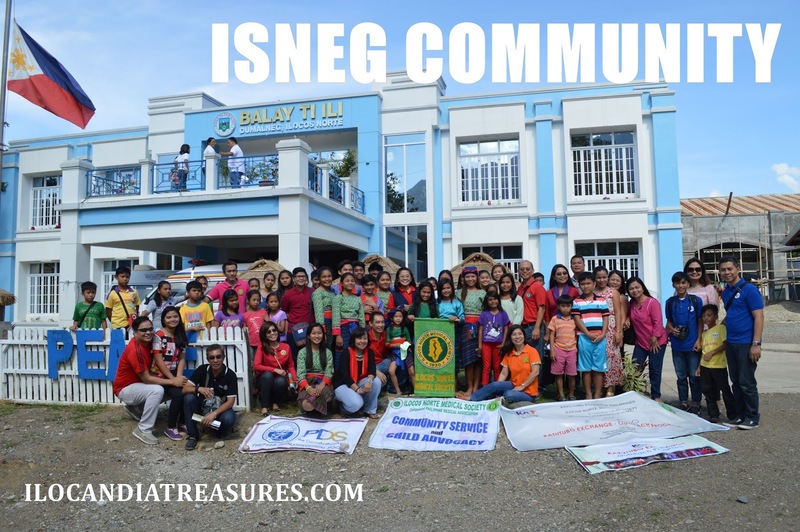 With the partnership of Katutubo Exchange Philippines and the Ilocos Norte Medical Society (INMS) being forged since 3rd Katutubo Exchange program, they again tied-up with another project called Katutubo Exchange Outreach Program for the Isneg children of Dumalneg in Ilocos Norte held on January 10, 2016. 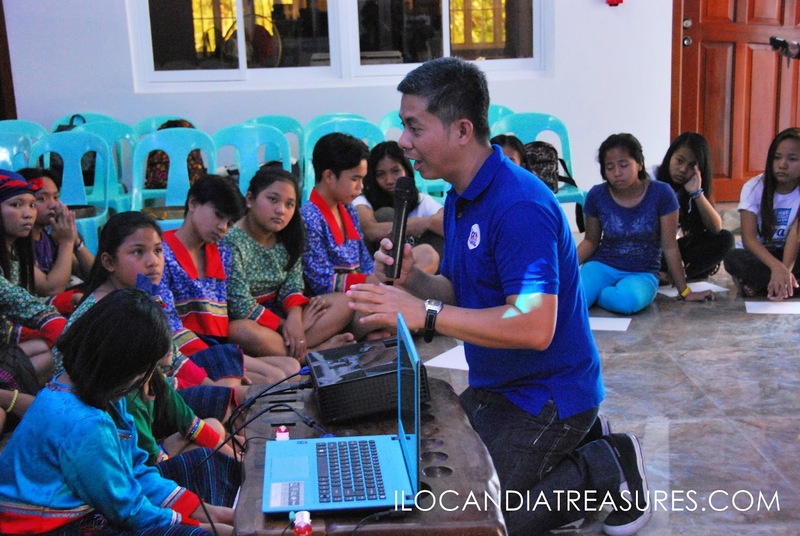 There were 50 katutubo kids who participated in the activity, one KX alumnus Jesli Manuel and three young Iloko kid volunteers namely, Joshua Juan, Jessa Galandez and Jelmar Castro. The town of Dumalneg is one of the indigenous cultural communities of the province of Ilocos Norte and it is home to the Isneg population. 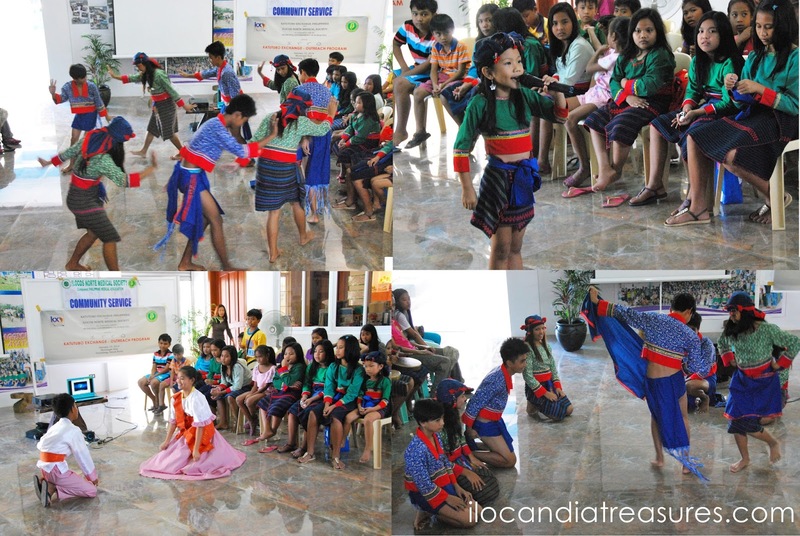 They are also called Isnag, Yapayao or Apayao. It was the initial plan of INMS to conduct a simple gift-giving for the katutubo kids and later the president Dr. Miramar Bumanglag has thought of doing it meaningfully by asking what else should be done. It is the objective also of the KX Philippines to conduct outreach activity on health and nutrition so I suggested INMS to conduct orientation and lecture on health care. 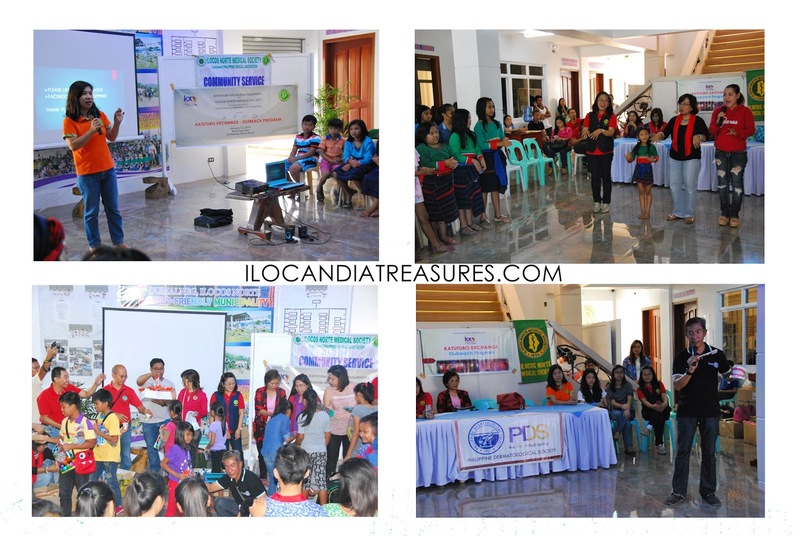 Dr. Liza Marie Paz-Tan, Dr. Sheila Rabang and Dr. Bumanglag did the lecture and demonstration on proper handwashing. They also inspired the kids of what is the job of a physician and how to become one with a talk from Dr. Callangan. All the INMS officers and members distributed the health kits, gifts and the lunch meals. Dr. Jeffrey Suangco, president of Rotary Club of Laoag has also joined our group. He gave an orientation on oral and dental care since he is a dentist. He also gave out toothbrushes, toothpastes and slippers. Before we started the program, we were welcomed by the people especially from the office of Mayor Espiritu represented by Ms. Arlene Galleng Domingo. Poetry and traditional dances were performed by the katutubo participants followed by the Iloko traditional dances by our young volunteers. Later, I introduced our volunteer group Katutubo Exchange Philippines, its missions, objectives and accomplishments. 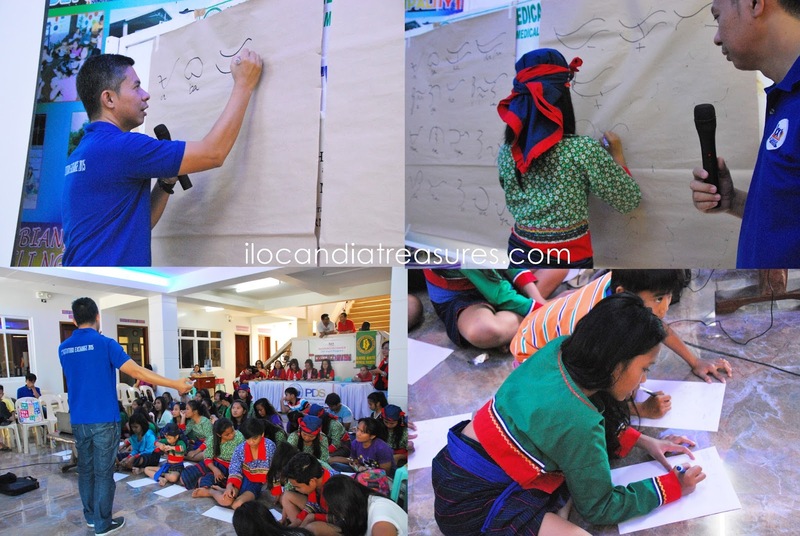 Since it is the aim of the organization to promote traditional art and indigenous cultures, I launched and conducted lecture and workshop on Baybayin, it is the ancient Philippine script which has been forgotten. 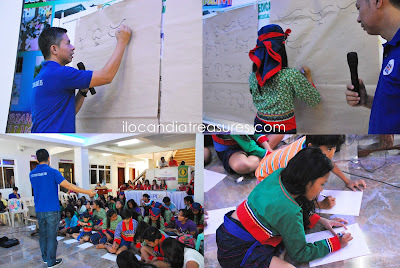 The kids instantly learned on how to write and read Baybayin. It was a fun weekend with the katutubo kids and everyone enjoyed. They gifted us with boxes of rootcrop harvests namely: togui and laya. We took our lunch sponsored by Dr. Fernandez at his own restaurant in Bangui.